This is a concise sample to help get Solid Automator up and running. Automated Verification of ISO 19005-1, ISO 19005-2 and ISO 19005-3 compliance for existing PDF documents and repair common issues. 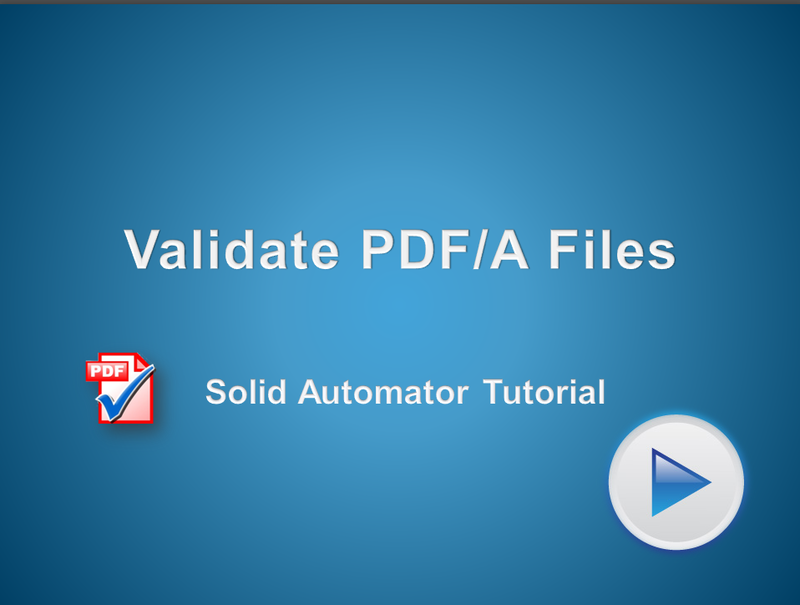 Select Validate PDF/A from the New Process Menu. Set if you want to Verify for PDF/A Compliance only. Leave unticked for a Validation report to be created for each file validated.